Beautiful hostel! Such a wonderful place, lovely staff & great friendly chill atmosphere. Breakfast (pancakes) is great, I only stayed one night and wish I stayed longer. They also do tours around Maui each day. Will be coming back to stay here. Beautiful place to stay, awesome staff, super clean, great free tours, awesome location and lots of great people! Would highly recommend this place to anyone!! Had an amazing stay! I was only here for one night but it was great! Great location, clean and welcoming atmosphere. They offered daily tours free of charge (just tip the tour guide) which seemed really fun, unfortunately my friend and I were only there for one night so we were unable to take advantage of it. They also have a make-your-own pancakes. Would definitely recommend. 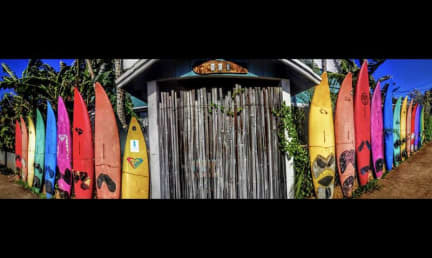 I had an incredible time at the Aloha Surf Hostel. The workers are so nice, the tours are amazing and it’s very easy to meet people! Perfect for solo travelers. I miss it already and will definitely come back soon!!! Nice staff, great location. I went on some of the tours. It was amazing! The tour guides do their best to show you the island. Don’t forget to tip them. I had a great time here and hopefully I’ll be back soon! Ideal location, super friendly staff, rooms and shared bathrooms very cleaned! They also offer free tours everyday ! Which is perfect as without a car you can’t do anything in Hawaii! They only thing they could improve is the free breakfast; it’s only make your own pancakes. The beach nearby is not the best for a swim but great for surfing! Beautiful hostel with a real surf vibe. 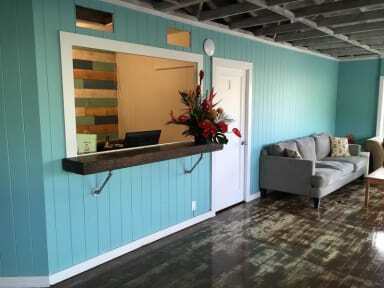 Located close to Paia, this hostel if perfect for those looking for a more relaxed place to stay. Very clean with uber friendly staff. Was a great little hostel, had pancakes and coffee in the morning! Was very clean. Location was a little out of the way from stuff but not too far. Staff was very friendly and they had daily tours which you can't beat! Would definitely stay again!